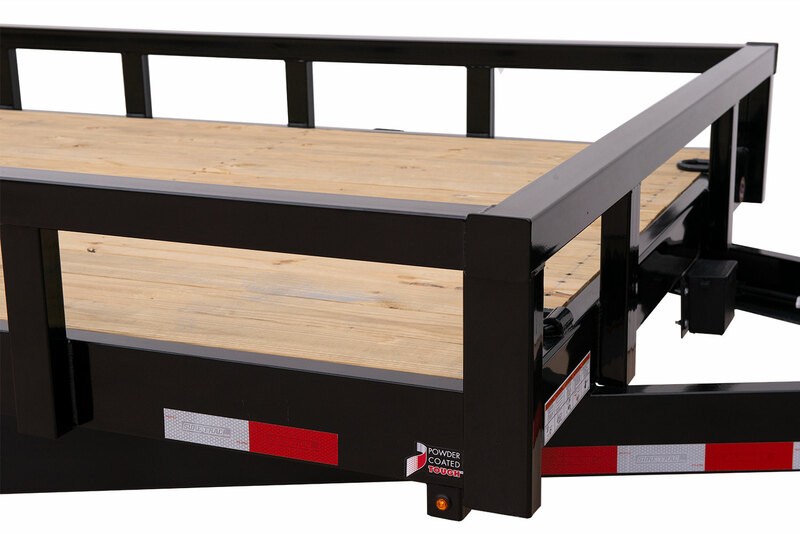 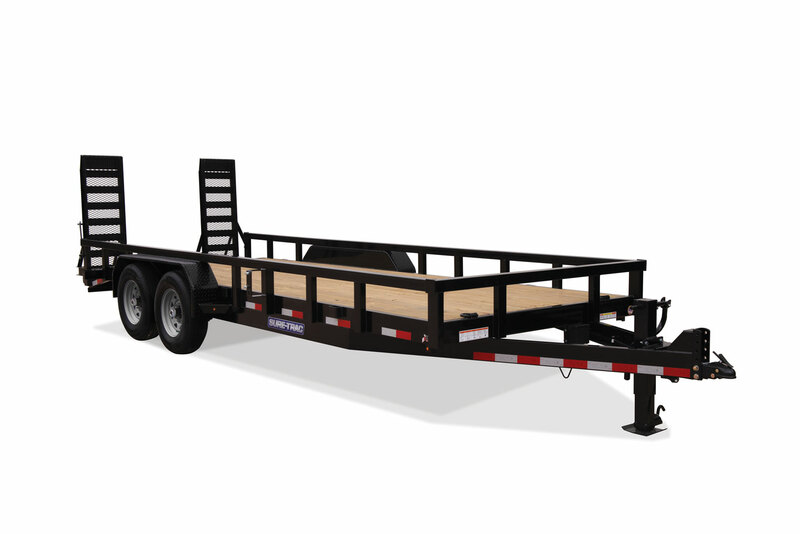 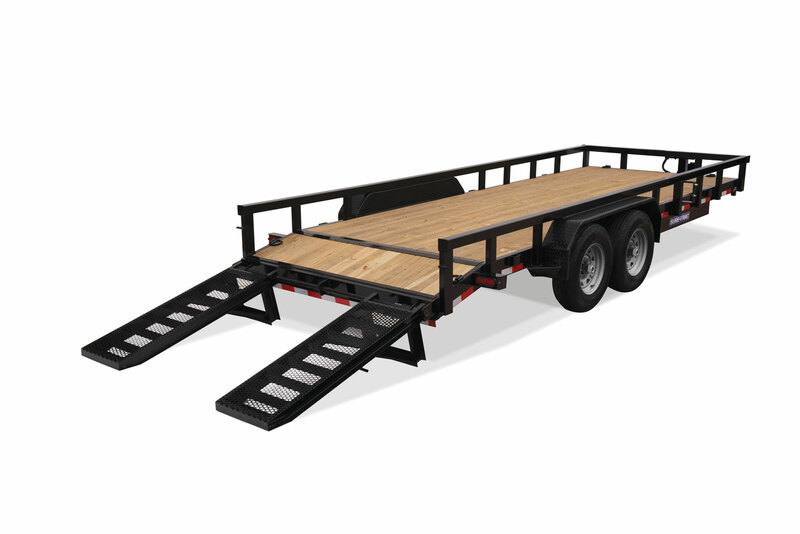 Heavy Duty 3×3 Tube Top Rail and 3×2″ Tube uprights provide the Heavy Duty Equipment trailer with ultimate rigidity. 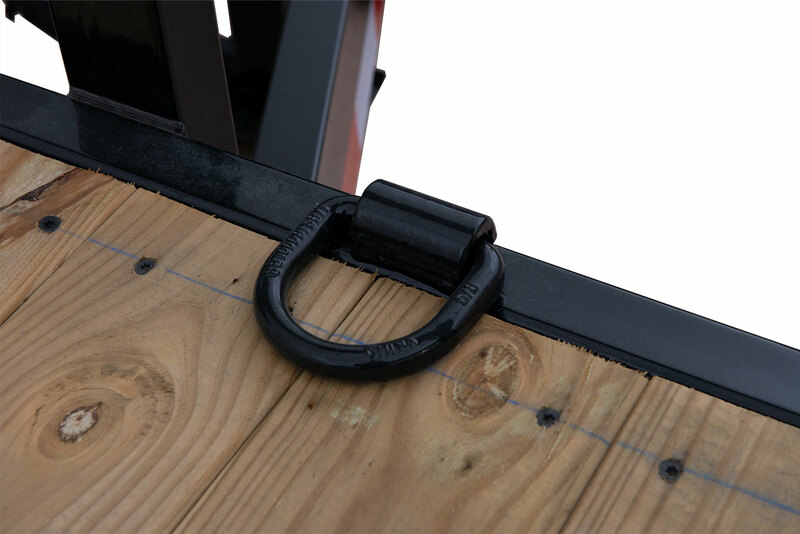 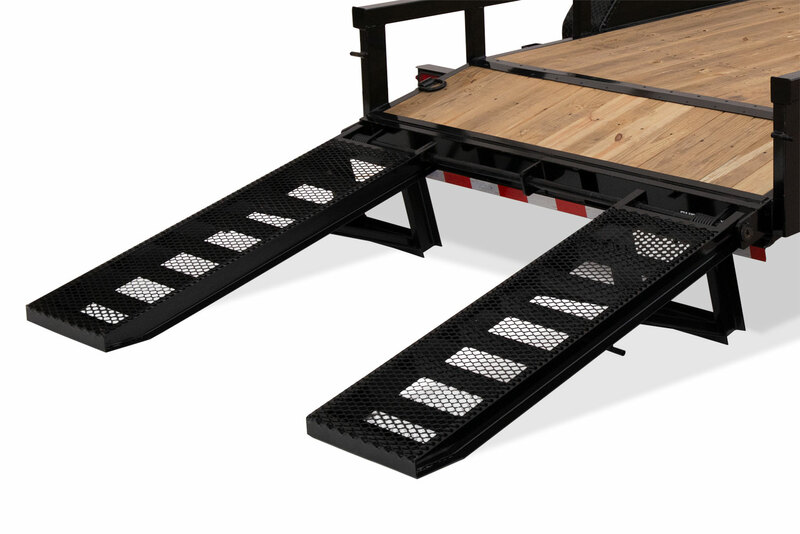 The HD 12K Jack and HD 4″ Channel Ramps (covered in mesh) has versatility for any job. 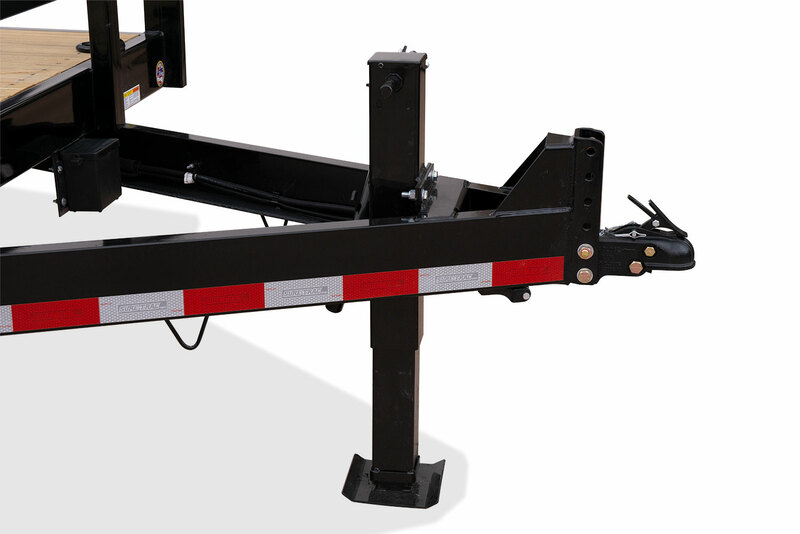 14K Adjustable 19" - 27"
16K Adjustable 19" - 27"